The union representing the nation’s Immigration and Customs Enforcement officers and staff is throwing its support behind GOP nominee Donald Trump. It’s the first time ever that the National Immigration and Customs Enforcement Council has endorsed a candidate for president, according to a statement posted on Trump’s campaign web site Monday. 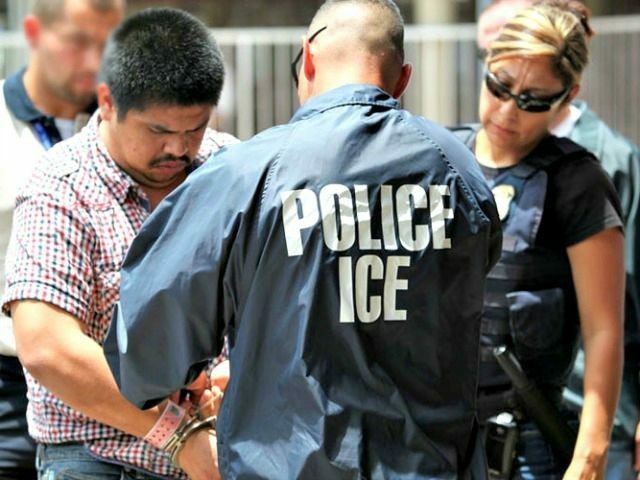 WASHINGTON— Protesters descended upon the U.S. Immigrations and Customs Enforcement (ICE) headquarters on Wednesday, accusing the agency’s leadership of mismanaging its employees. Felix Luciano, an ICE union president in California, accused the federal government of discriminating against veterans, women, people of color, and others. Chris Crane, the President of the union representing ICE employees, cited the Office of Personnel Management’s annual survey, which shows that ICE workers rank their employer as one of the worst government agencies in terms of morale. “Union and non-union employees agree: ICE is a horrific place to work,” Crane said in a statement. “Mission readiness falls apart when leadership fails, and morale hits rock bottom. 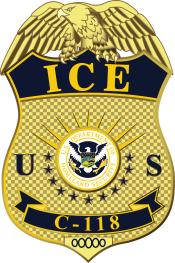 “Discrimination, harassment and retaliation are a part of everyday life for ICE employees. Our managers act more like thugs than public servants entrusted to manage ICE’s critical public safety and national security missions,” Crane added. Click image above to download membership form. Click here for instructions on completing and submitting the form. 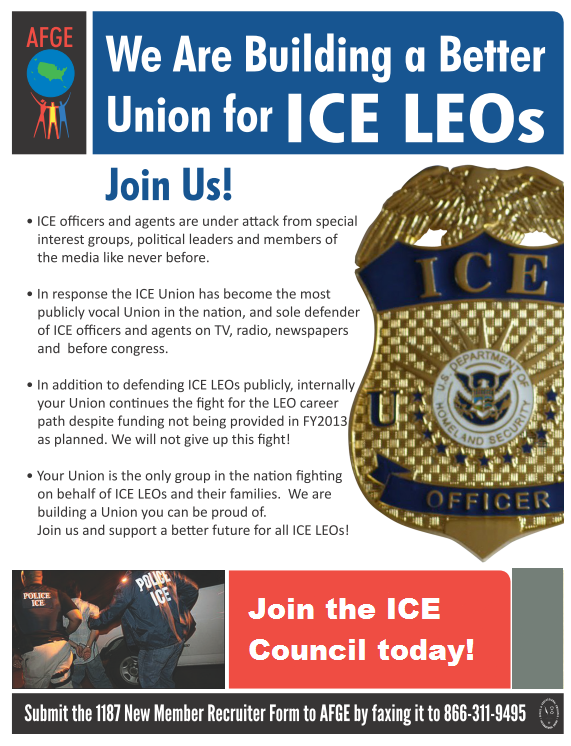 The AFGE National Immigration and Customs Enforcement (ICE) Council represents approximately 7,600 Officers, Agents and employees who work for the U.S. Immigration and Customs Enforcement throughout the continental United States, Alaska, Hawaii, Virgin Islands, and Guam.